One: I'm a WriteGirl Veteran. When I walked into my interview at the Mentee Welcome Day, I couldn't help but feel a mix of fear and comfort—stepping from familiar to uncharted territory. 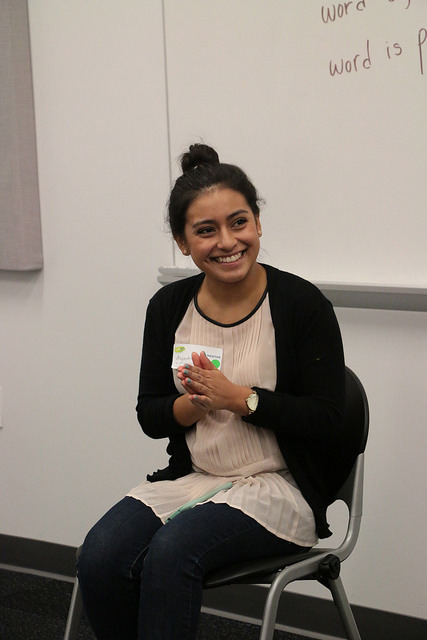 It was safe to say that I felt quite shocked and even unworthy to say that this was my fourth year at WriteGirl. Being the shy, uncertain person I was, I was always accustomed to being the youngest, new mentee, who looked admirably at her older fellow WriteGirls as they stepped onto the soapbox to rant ever-so eloquently about their teachers’ annoying habits and how much they hated the band Green Day. The notion of setting an example for the younger batch of mentees makes my stomach drop, but maybe it won't be so intimidating. Maybe all of the encouragement from the past workshops will give me energy. Maybe all of the voices I heard during the past four seasons will push me to speak my own into another mentee's memories. Two: WriteGirls Take Pride in Their Work. 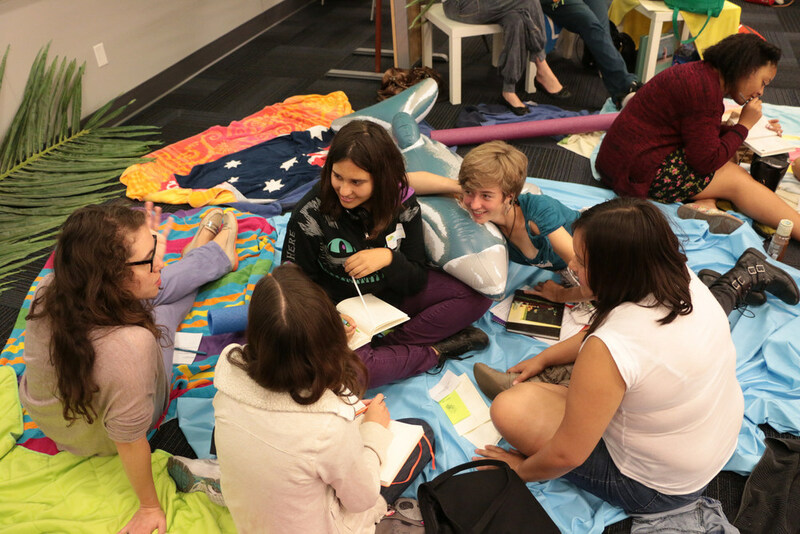 The significant characteristic of every WriteGirl workshop is the encouragement that overflows the room. In the Mentee Welcome Day, I was able to witness the fruit of constant positivity, as the girls rushed in line to recite their works. When one comes to WriteGirl over a long period of time, she comes to realize that criticism and negativity simply do not exist in the setting. It was very clear to me that WriteGirl's enthusiasm for creativity built up confidence and assurance for girls and their voices. Being that this is my fourth season, I am hoping to muster up the courage to recite something at a workshop. Through all the years, I've seen people receive positive feedback. What makes me think that there will be a different response for me? WriteGirl is moving! Into the fabulous—and enormous—Goodwill Center, to be precise. Mentee Welcome day was the first time mentees and mentors got a look at the new digs. The space is not only awesome but will be a great resource for WriteGirls who'll be able to drop in regularly. It can also be used as a meeting place for weekly one-on-one mentoring. It doesn't hurt that there's a massive Goodwill store within the complex (shopping, anyone?). Judging by the enthusiasm and energy in the room on Mentee Welcome Day, I think we'll all be very happy here. Four: Everyone Has a Unique Voice. Take one poem. Have three different people read that poem aloud. What do you get? Three completely different poems. The poetry show reminded us that we all bring something unique and special to our readings—of our work and of others'. Something that sounds somber and desperate can become funny and strong in the voice of another. And the best part is, no interpretation is wrong. Rather, each one offers new insight into something multilayered and ripe for exploration. It was a great reminder to let your voice be heard. You have something to say that no one else can!